Iggy Azalea Says She Signed With a New Label. Which One? Who Was Brave Enough to Sign Iggy Azalea? Filed to: Who Signed her?Filed to: Who Signed her? 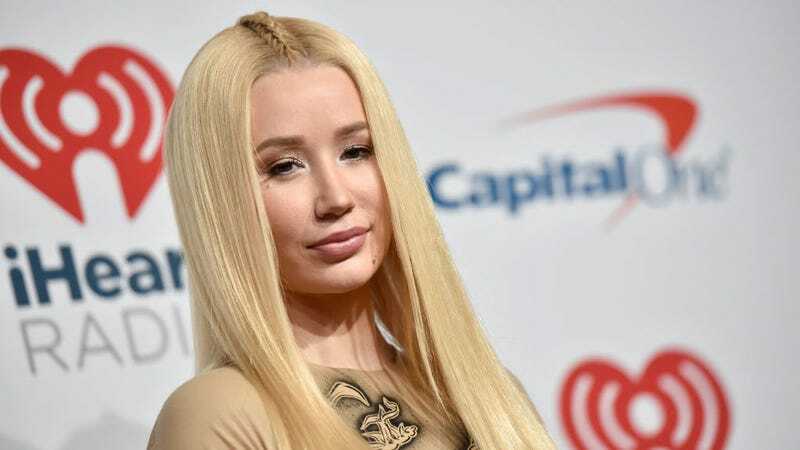 Recording artist (because I still won’t say rapper) Iggy Azalea has, according to her and only her so far, signed a record deal. If that sounds suspect, consider that this deal is also for $2.7 million. That seems fair for an artist who hasn’t had a hit in years, right? The label in question is unknown at this time, but on Thursday Azalea tweeted that an announcement was coming “later in the week,” which is... right about now? In the meantime, if you know who she signed with, please do let us know! I’m dying to know who was brave enough. Iggy left her former label Island Records in early November and upon departing told fans that she was hoping to have new music out in early 2019. I don’t doubt that she’ll have music ready, but I do doubt that it will actually be good. Azalea’s career has been slowly unraveling ever since “Fancy” (which I’ll kindly remind you was a hit because of Charli XCX’s hook and the blatant DJ Mustard rip-off beat) had its day in the sun, and if she keeps digging her heels in on her rap career, rather than just making pop music, I don’t think she’s going to find another hit.